Brim Seafood with highest average salary | Brim hf. 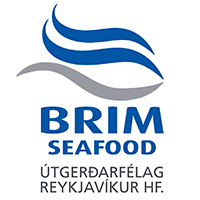 According to the magazine Frjals Verslun, Brim Seafood average salary for fiscal year 2015 was about 24 million ISK, the highest in the industry. Brim operates three freezer trawlers, Brimnes RE, Gudmundur i Nesi RE and Kleifaberg RE. Direct salaries for the company reached about 3.5 billion ISK and the average salary was 24.4 million ISK in the year which translates to an average monthly wage of 2.045 million ISK. It should be noted that the survey is a yearly measure does not for example mirror real salaries of a single fisherman unless he goes to all the fishing trips.